We've got the weird and the wonderful on today's show. We take a tractor for dance and discover what happens when a horse visits the dentist. And the wonderful? Lots of fluffy baby penguins. 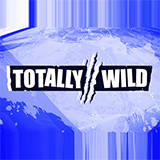 Totally Wild was broadcast on Eleven at Tuesday 6 November 2018, 10:16.